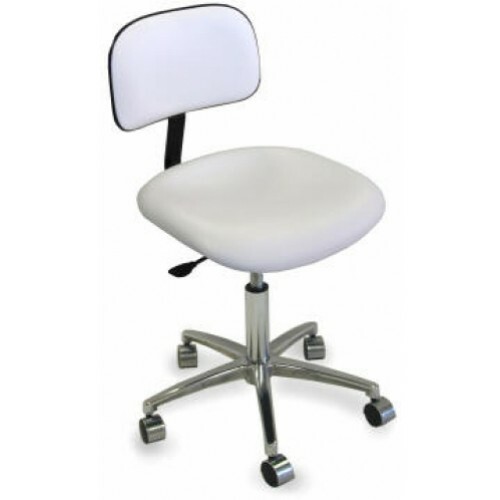 Dina Meri 920E, ESTHETICIAN Stool: FEATURES: Heavy duty metal frame construction. Five star polished aluminum base with casters which provides easy mobility. Padded seat with durable white vinyl covering. Seat is adjustable from: 17" - 22"